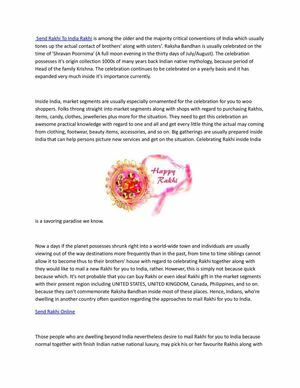 Calaméo - Let your online rakhi gifts sing the glory of innocent relation of a brother and sister!! Let your online rakhi gifts sing the glory of innocent relation of a brother and sister! !